A Colorful Chaos: Happy "Howl"oween!! 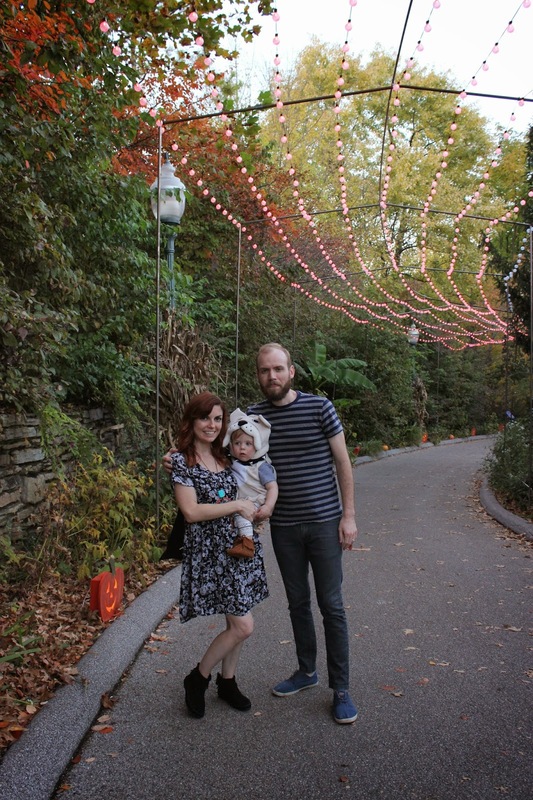 We went to the St. Louis Zoo last weekend when the weather was crazily still in the 80's & Atticus loved it! 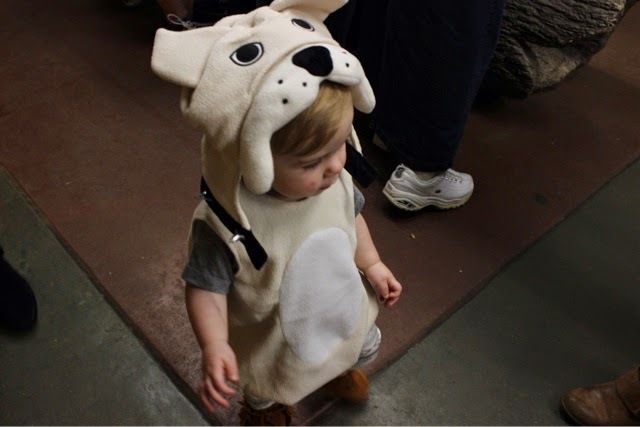 His favorite thing in the world is a puppy, it's the first thing he says when he wakes up in the morning, so we knew he had to be a puppy for Halloween. 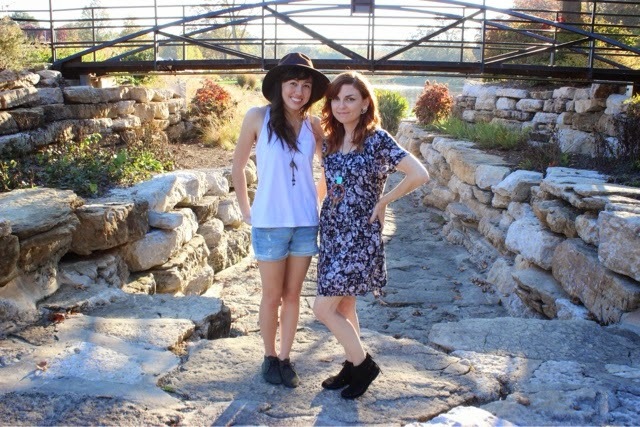 Since the weather was so beautiful, we took a few pre-costume family photos before our trip to the zoo too. 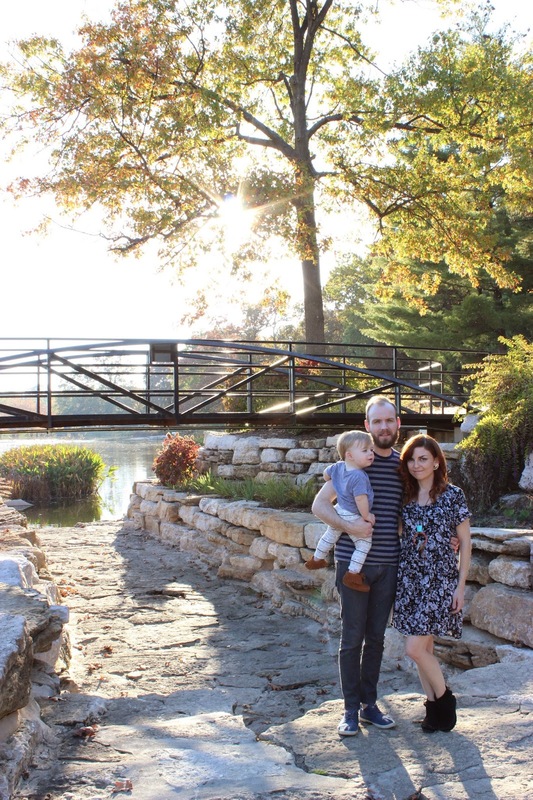 Here are a few of the pics Sharon snapped (and one Kelsey took of Sharon & I while he was holding our little guy). 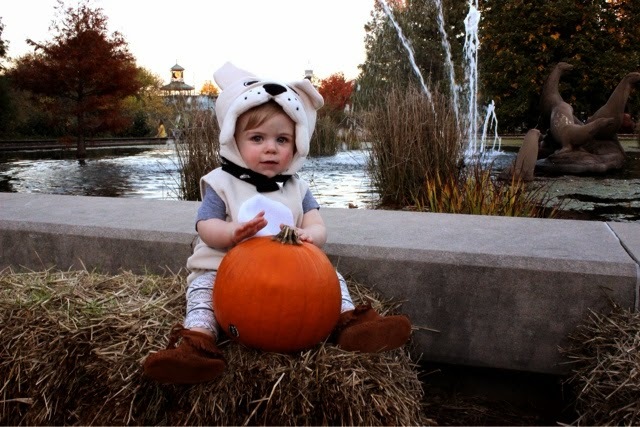 Have a Happy Howl-oween! Hope you guys had a great Halloween! 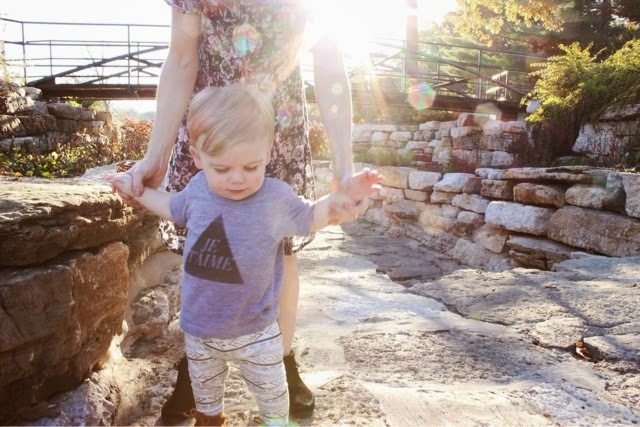 And those baby mocs are the best.